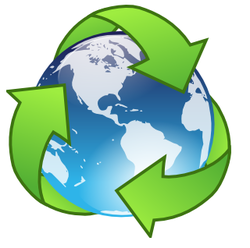 Links to lesson plans, activity guides, curricula, videos and more to teach, students about waste reduction and, recycling in the cafeteria and beyond. Teacher Guides for teaching about Household Hazardous Waste. A companion kit is available from West Sound GreenSTEM. Contact Karen Lippy for more information. karenlippy@gmail.com. ﻿﻿﻿2-litre bottle working greenhouse﻿ (This is from Scotland so we modified it a little. Instead of (bamboo) canes we used old cedar fence boards ripped to 5/8" x 5/8" because that's what was available. We've also made cold frames and tomato "warmers" using the same technique but using 12 and 16 ounce water bottles.